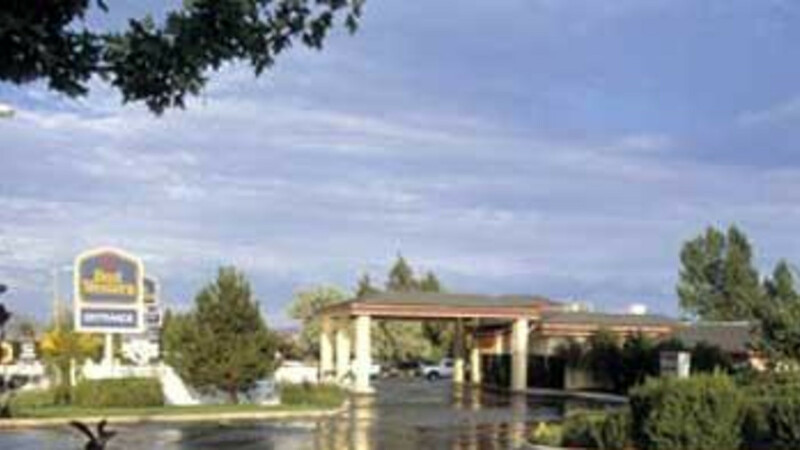 Our165-room Hotel is situated over 10 acres of landscaped grounds with a 3-sided waterfall. All of our rooms have king or queen size beds, two-line phones and include refrigerator, microwave, hair dryer and coffee maker. We have an Exercise room, a Gift shop and a seasonal outdoor pool site. We have Pet-Friendly rooms available and are based on availability. Our Restaurant offers Breakfast, Lunch and Dinner and also has private rooms available to rent for meetings or any type of family get together. Our Hotel is surrounded by the beauty of the great outdoors. Great fishing and hiking is available just 30 miless from the Hotel in the summer or snowmobiling and cross country skiing in the winter. Evanston's golf course is only 3 minutes away. Annual events include PRCA Rodeo, Brewfest, Beer Brats & Bluegrass Festival, Ft. Bridger annual Rendevous and many more. Get great discounts when you mention that you are attending one of these events.